Comcast is one of the more dominant players in the internet and cable services industry. While its popularity has experienced many fluctuations, the company serves more than 20 million subscribers across the nation. In an effort to revitalize it’s standing and to target the mobile carrier industry, we were introduced to Comcast new service. That is Xfinity Mobile! The offer is the company’s latest innovative effort. It aims to take a chunk away from big players in the market and get new customers in the process. Xfinity Mobile is the company’s introduction of a mobile service based on an existing 4G LTE network. I’ll be honest, I was initially very skeptical about this new development. It has traditionally been a TV, internet and home phone provider. Mobile is a departure from the company’s core areas of operation. We have all experienced patchy cable and internet services from the company at some point. This is largely what has contributed to the fluctuating popularity the company enjoys. But after being a customer for a couple of months, I was pleasantly surprised. Even if you ignore Comcast new service for a moment, the reputation for poor service is undeserved. Every provider experiences the occasional hiccup every now and then. The company has made concentrated efforts to improve it’s customer service and support. There have also been significant changes to the price points that make the service accessible to more people in the US. These changes were very welcome to me as a consumer who always had an issue with what was offered. And even my skeptical self can’t find too many faults with the new extras being offered. For most subscribers, this offer seems to be pretty difficult to resist. It also pairs a mobile service with some of the best mobile phones on the market. These phones include the recently released Apple iPhone XS as well as premium Android phones from Samsung and LG. This is perhaps the only problem I have with Comcast new service. There seems to be no room for lower-end Android phones in at the company’s service standards. The offer is currently restricted to high-end phones manufactured by Apple, Samsung, and LG. This is further limited to only recent models, older smartphones can’t be are not covered by this mobile service. Mobile is available in two types of plans. The default plan is the Unlimited plan, which carries no hard monthly data limits. However, the speed begins to throttle after you use up 20GB of data in a month. By comparison, the “By the Gig” plan lets you pay for your plan based on the volume of data you consume. You only have to pay a fixed amount per GB for every GB of data you consume during the billing cycle. I should remind you here that Mobile is only available to Comcast internet service subscribers. Unless you’re already a subscriber, you can’t take advantage of this compelling offer. Regardless, the plan structure lets users with different data usage patterns choose the most flexible and suitable option. According to research, 70% of wireless users in America consume less than 5GB per month. This makes the “By the Gig” plan the most suitable option for most Americans, but the choice is entirely yours. Mobile is a plan that offers a lot of extras. With your plan, you don’t have to pay line fees for up to five lines at a time. Both the “Pay by Gig” and the Unlimited plans offer unlimited nationwide talk and text. Since Mobile makes use of Verizon’s network, service quality is up to the mark. This is because Comcast new service is delivered through one of the biggest and most reliable 4G LTE networks in the country. This makes for uninterrupted connectivity for the most part. You also get access to the 18 million Xfinity hotspots located nationwide. Your phone will automatically connect to a hotspot in range if you are using Mobile. Find hotspots near you easily through the mobile app or by speaking to one of their customer service reps. The company is really offering a great option by including nationwide hotspot access with its mobile plans. Users can minimize their data usage by connecting to the Comcast internet service offered at the available hotspots. From a user’s perspective, this new offer certainly seems to be one to take advantage of. You get so many benefits from subscribing to this mobile network. You get to manage your call logs and get billing details right on the Xfinity Mobile app. This also lets you add or remove lines from your plan, making sure you’re not paying extra for your goodies. It also gives you access to the company’s streaming service as well as the Xfinity Home app. The Xfinity Home app lets you remotely control smart devices in your home, so you can manage your smart home efficiently. If you are a Comcast internet service user, you’re missing out if you haven’t already subscribed to this amazing new offering. Since it is limited to internet users, they are the consumers best placed to reap the full benefits. The company is working hard to improve its image, and this latest addition to their service offerings is big! If you’re living in a Comcast service area, you might want to get on the phone with their customer service after this! Here’s a helpful link to comparing the best service providers in your area. You are welcome! 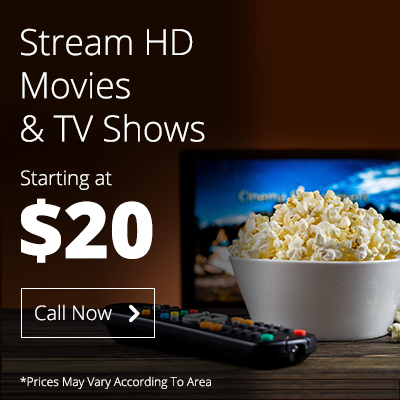 Previous PostPrevious Comcast Package Deals for Existing Customers Are the Game Changer!